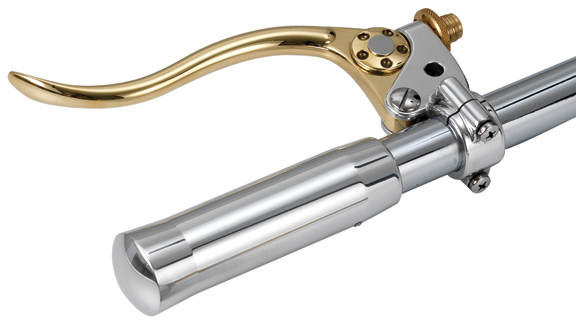 De Luxe Retro Cable Motorcycle Hand Controls are a unique and innovative product for custom Harley Davidson motorcycles (HD), bobbers, custom choppers, and most custom bikes. 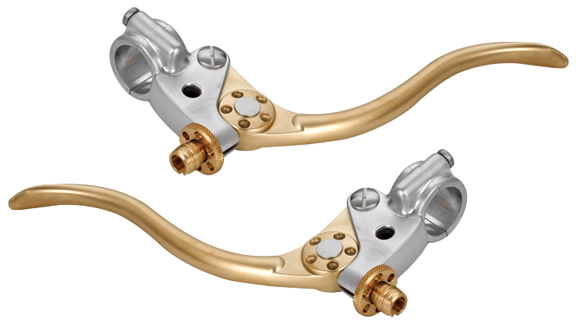 They will give your custom motorcycle a unique super-clean look, since they have no master cylinder. De Luxe Retro Cable Motorcycle Hand controls are to be used with our custom Master Cylinder with Lever or Master Cylinder with Lever and Billet Reservoir, which can be easily hidden on the bike, since they can be welded vertically or horizontally under the seat, under the tank or in any other place hidden or not. 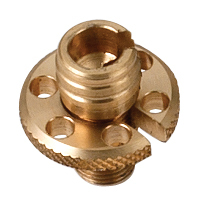 Thank you for your interest in Eurocomponents’ products. 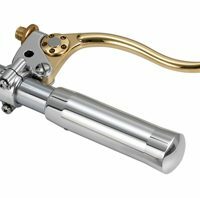 Sorry, but the brass levers on our De Luxe Retro Hand Controls are to thin to fit on the stock Harley Davidson hand controls. 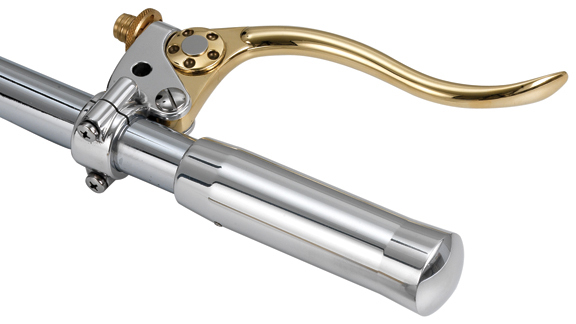 They were specifically designed for our motorcycle hand controls and cannot fit on any others. Hi- I was wondering if there is an option available to have the silver color (aluminum) parts of the retro hand controls anodized black? Or whether there would be any problems with clearances, etc. if I had it done.? 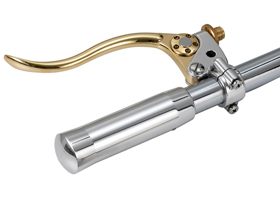 You cannot anodize our De Luxe Retro Motorcycle Hand Controls because they are cast aluminum, not billet. We had several customers that painted them like you would like them, but we do not offer that service. Of course some areas will need to be masked for clearance reasons.